Miltonduff, Elgin, Morayshire, IV30 8TQ. 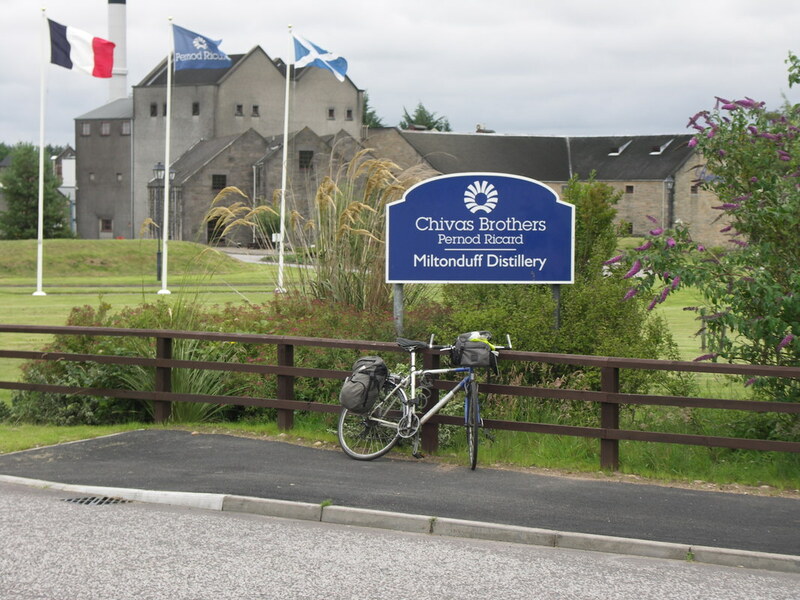 Simply the Mill Town associated with clan Duff, on whose land the distillery stood. Miltonduff is not open to visitors. 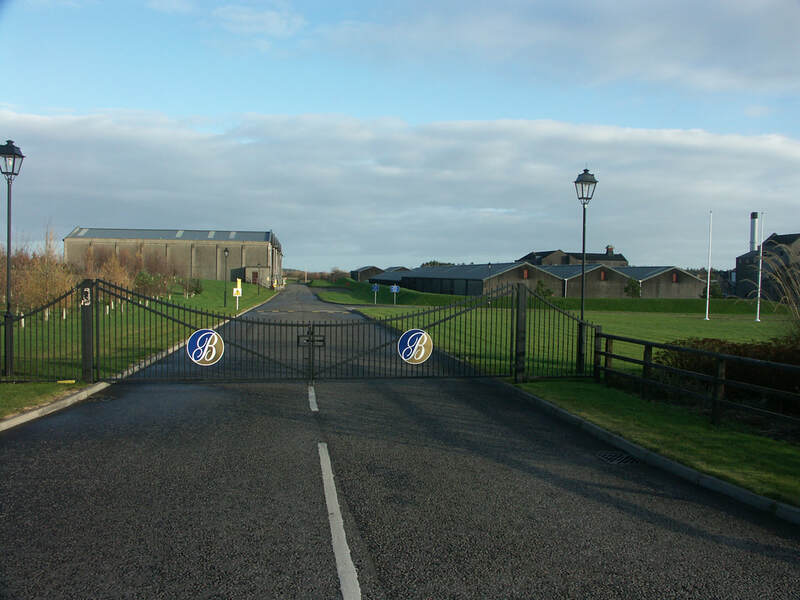 Miltonduff Distillery was one of the first to take advantage of the change in legislation brought about by the 1823 Excise Act, which allowed for legal licensed distilleries. The area had a history of alcohol production with the monks from nearby Pluscarden Abbey, founded in 1230 and with a reputation for brewing fine ales. The land on which the distillery stands was historically part of the Abbey's extensive estates which extended as far as Rothes. Alfred Barnard, visiting in 1886 recalls local legend that in the 15th century, the abbot would bless the waters of the Black Burn, kneeling on a stone (which is said to be built into the wall of the Distillery's Malt Mill) and "ever after the life-giving beverage distilled therefrom was called Aqua Vitae'". Barnard goes on the write about the "Worts Receiver...made out of an old Mash Tun, which originally belonged to the smuggler-founder of the Distillery", and in the "Distilling House...the monastic associations of the place...the quaintness and antiquity of the vessels in use". Unfortunately, Barnard laments lack of time and space to describe the process of triple distillation taking place in the distillery's two stills. Output at the time was around 350,000 litres. The initial license was in the names of Andrew Pearey and Robert Bain, but was sold to William Stuart in 1866. Stuart's company was joined by Thomas Yool and Co in 1895, and this investment lead to an expansion of the distillery, and soon 750,000 litres were being produced, scotchwhisky.com gives a figure of over a million litres a year by the end of the century, one of the largest producers in Scotland. In 1936 the distillery is bought by Hiram Walker, who had also acquired George Ballantines and Sons, beginning the distillery's long association with the Ballantines blend. They also owned nearby ​Glenburgie, and the history of the two distilleries is somewhat similar from then on. A further expansion took place in 1974 which saw the stills increased to six, enabling today's production of over 5.5 million litres. 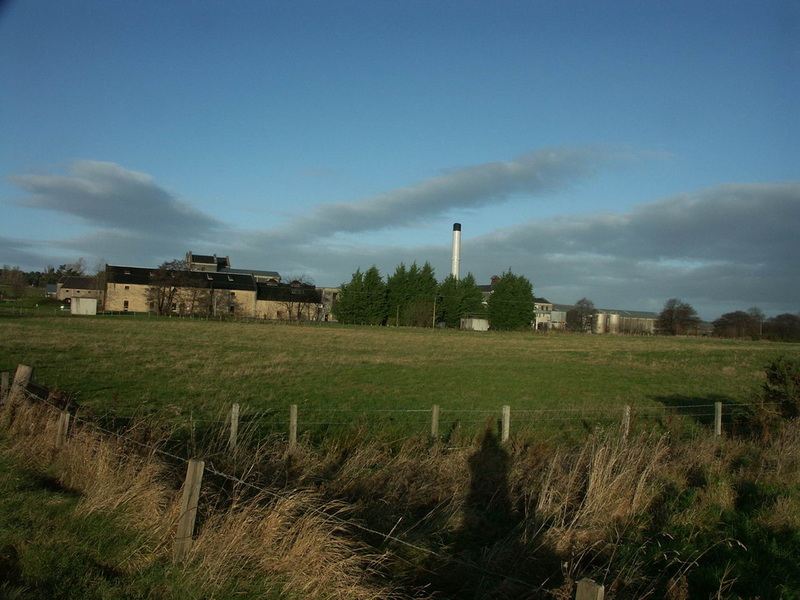 As with Glenburgie, Lomond stills were installed at Miltonduff, in this case between 1964 and 1981, to produce a lighter spirit named Mosstowie after a nearby area. 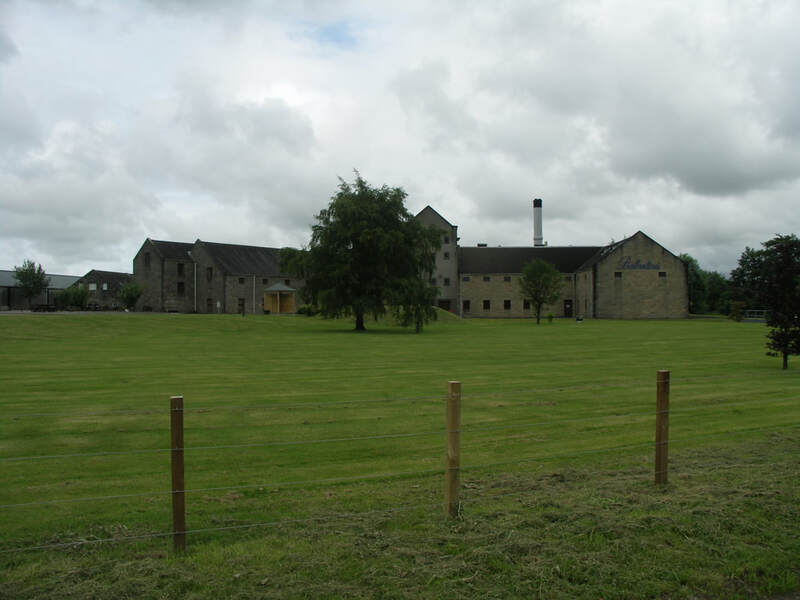 Miltonduff Distillery is near the village of the same name about 2.5 miles south west of Elgin off the B9010. Miltonduff has been produced as an own bottling in the Chivas Cask Strength Series - available in Chivas' distillery shops and sometimes seen in specialist retailers. In September 2017 - Chivas announced that they would be releasing 15yo expressions of the three malts that are the heart of the Ballentine's blend - Glenburgie, Miltonduff and Glentauchers. The only regular single malts from Miltonduff have been "semi-official" bottlings from Gordon & MacPhail. Other Independent bottlings are common. Some independent bottlings of Mosstowie are still available - for a price. Photos on this page were taken by me. Click on photo to enlarge. 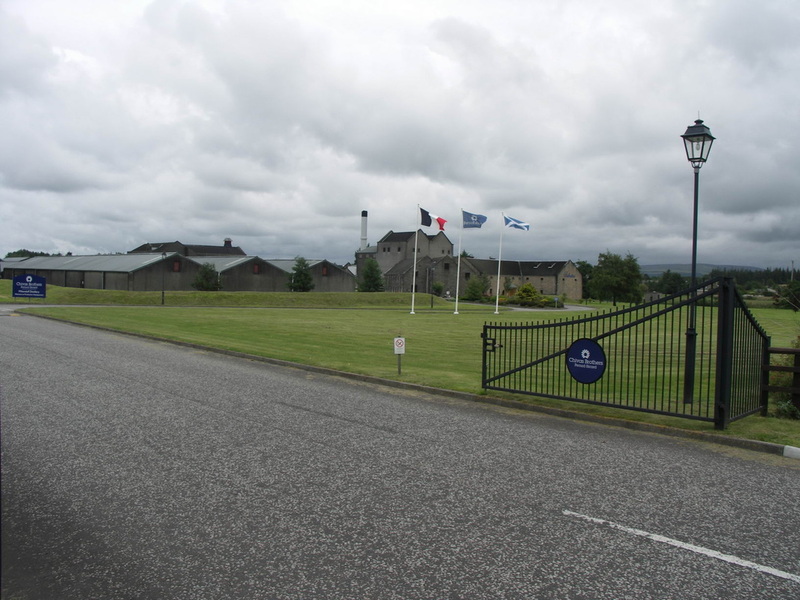 Full size versions of all my photos of Miltonduff Distillery are available on Flickr.